SEO Clerks (http://seoclerks.com), is a website that offers services in the field of Search Engine Optimization. Examples of such services are the increment of website traffic, website search engine relevance, and the like, often for a small price. Overall this helps website owners with increased reach and therefore revenue, making websites like these immensely valuable for website owners who are just starting out. SEO Clerks promise a safe platform on which clients' funds are kept with a third party holder until they decide that they are satisfied with the transaction, allowing for an easy refund if things don't go as planned. Seoclerk was founded back in 2011, by a man named Jordan Delozier. It was created at a time when the internet was expanding faster than ever and there was an unprecedented website boom. During that time, new websites needed to broaden their reach to maintain their relevance, and so Seoclerk was born to fulfill that necessity. Ever since, Seoclerk has tendered various Search Engine Optimization services to clients. At one point in its operation it was transferred to the Ionicware Inc. group of companies. Since then it has worked along side such companies as Listing Dock, Webaster Query, Code Clerks, and Freelance Forums. Like SEO Clerks, its sister companies are also microjob marketplaces or freelance message platforms. As of the time of this writing, Ionicware Inc. has over 500,000 total members, and has tendered over 400,000 individual services. If you've encountered the website Fiverr before, chances are you'll find SEO Clerk's services quite familiar. It uses a similar model: Freelancers called Vendors propose a service they can tender, set a price, and wait for takers. The nature of the micro job proposed, as well as the price of the service, is entirely up to the Vendor's discretion. Buyers search for services on the site, find the service they want, and pay the vendor for the microjob. If buyers can't find their desired service, they can always request it on the site, and any Vendors who can provide that service can contact them. The great thing about the microjobs (or "gigs" as they are usually called) is that you can sell or buy anything and everything website-related, and prices all start at $1 each. The marketplace's clientele ranges from small-time blog owners to international gambling websites. This wide range of clients allows the tender of a wide array of services: ranging from basic content generation, such as article writing and transcription work; all the way down to complex web design and graphic design. All of these services condensed into one convenient marketplace is very attractive to website owners who want to outsource their tasks due to time and financial concerns. 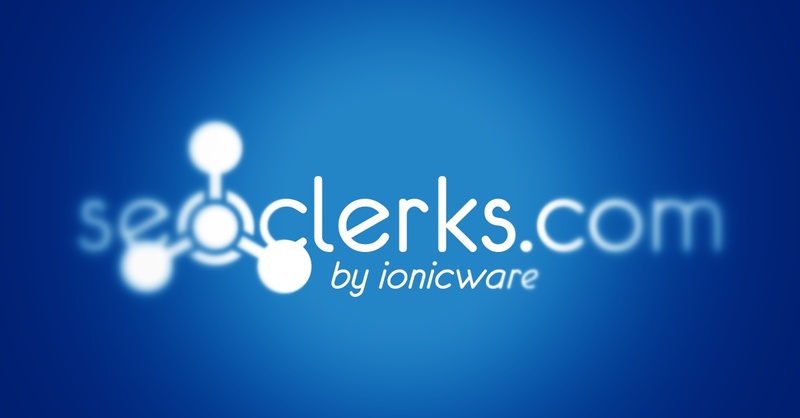 SEO Clerk implements a level system to filter out the better Sellers and Buyers. The higher your level, the better the chance of the tasks being completed in a atisfactory manner for Buyers, and job postings made by genuine, verified Buyers reaching Sellers. At level 1, members are granted access to the most basic services offered on the site. Members move up to level 2 once they've completed 10 purchases/orders/affiliate sales, and their satisfaction rating must not go lower than 90%. For level 3, the number of completed jobs must reach 25, and the satisfaction rating must stay on or above 90% as well. For level 4, the member is required to be an affiliate member, and should have completed 100 orders with 95% satisfaction. Additionally, the member must have achieved 50 affiliate sales. For level 5, the member is still required to be an affiliate member, and the total completed orders must number 250, with a 97% satisfaction. Additionally the member must have achieved 100 affiliate sales. The final level, level X, is selected by the website staff. The member must be at least level 3 and must already be an affiliate. As SEO Clerk is a SEO service marketplace, it is fairly easy for anyone with expertise in the many aspects of SEO to make money on the site. The main method with which anyone can earn money on SEO Clerk is to post up a service as a Seller. These services can cover such aspects as articles, tweets, website software, website themes, blog reviews, and even instructional DIY ebooks for website owners. Once you've decided upon what kind of service you'll render, you then need to give your service a name or title, determine its price, and add details to flesh out the meaning of the service you intend to give, so the buyers have a clear idea of what they're getting. Afterwards, you must choose a category for your service (Content generation, graphic design, web design, etc. ), add tags so that they pop up in search queries, offer guarantees and promos, etc. Aside from posting a service as a seller, there are also WTB or "Want to Buy" posts: custom tasks posted by buyers who haven't found what they were looking for in the search queries. Sellers can then bid on the posts and wait for the buyer's decision on who gets the job. An alternate way of making money on SEO Clerk is to become an affiliate of the site. It's completely free to join, and comes with many useful perks. The way it works is that affiliates would make referrals to the site, and for every service those referred users purchase, the affiliate member earns a little bit of the total money spent. The commissions trickle in at 10% of every purchase, and that rule is in effect for life, so it doesn't matter whether they decide to purchase something a year after their referral, and if the next purchase should follow a year after that. 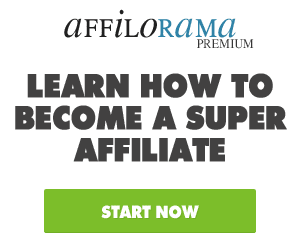 The affiliate member gets paid for every purchase made, forever. This rule is especially advantageous if you happen to know someone who would benefit greatly from SEO Clerk's many services and would thus spend a lot on the site. If you're a seller and someone you referred using your own affiliate link buys a service from you, you'll earn 100% of the payment given by the buyer, fee exempt. SEO Clerk's fees imposed on sellers total quite a bit, ranging from 5 to 10 percent, to cover the site's usage charge and the payment processing charge. As an affiliate, purchases made by users you referred will be exempt from these fees. However, this only applies to orders costing upwards of $5.